Many people starting their adventure with unity, encounter one of the most often problems - why Unity doesn't store points, money or other data? Every time, you start your game, each script will be initialized according to default or values from the GameObject's Inspector. How can I store and accesses player preferences between game sessions? Unity built-in class – PlayerPrefs, can give us a hand (link: https://docs.unity3d.com/ScriptReference/PlayerPrefs.html). On the one hand, it is a limited set of possibilities for us, but it is enought to do basic operations. Data is stored like in associative array – an abstract data type composed of a collection of pairs (key, value). What is important that each possible key appears at most once in the collection. As you can see, each method is based on the key under which our data is stored in the device's memory. The operation of the above methods is best checked in quick example. It is not recommended to use Save() method every time when you set a new data. It will potentially causing a small hiccup. What is also important is to note that we optionally can set a second parameter with custom default value. This value will be loaded when unique key not exist. If we didn’t use this parameter - PlayerPrefs will load default value of selected type. This method returns true or false according to if we previously saved given key-value pair. Only float, int and string?! What if I want more? Sometimes we want save more complex structures than 3 types of variables. What if I want to save bool value or more complex types like arrays or vectors? Of course you can code your PlayerPrefs extensions – for example - simple save and load of bool values. I assume that 1 is true and 0 is false. Then by conversion I can receive bool value from int. But in instance of arrays and vectors it will be harder sure? Thanks to Eric Haines from awesome Unity community. He created ArrayPrefs2 – a extended class of PlayerPrefs. Here you can find this class and it documentation. and arrays of all types above. This is a good question. If data is stored between session it must be saved somewhere of device memory. Is normal user can access to this data and cheat by change some values within? Unfortunately the answer is yes – PlayerPrefs is totally insecure. As amateur „hacker” can access and manually edit certain values. 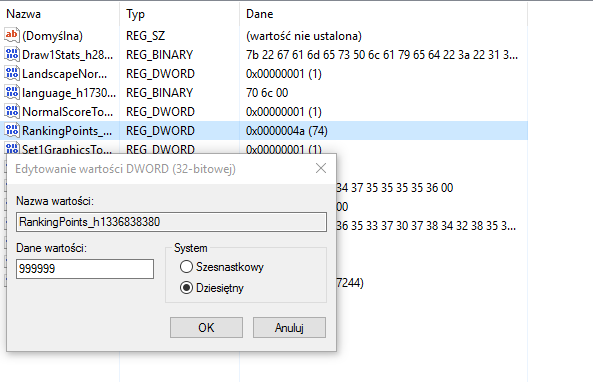 For the instance in Windows these values are stored in Windows Registry. The question is: How can I secure my prefs? In University of Games we using data encryption. Again you can by yourself code encrypted PlayerPrefs class with MD5 encryption for example, but good example is using EncyptedPlayerPrefs class created by Sven Magnus. EpicPrefs – PlayerPrefs on Steroids by Hot Totem Assets . In my opinion it’s worth to invest in packages like above. Beyond encryption often we get other benefits like extended types and visual editor of stored values.